Passtime Signs Bonneville Speedway Exit 4 Metal Sign V482 - California Car Cover Co. 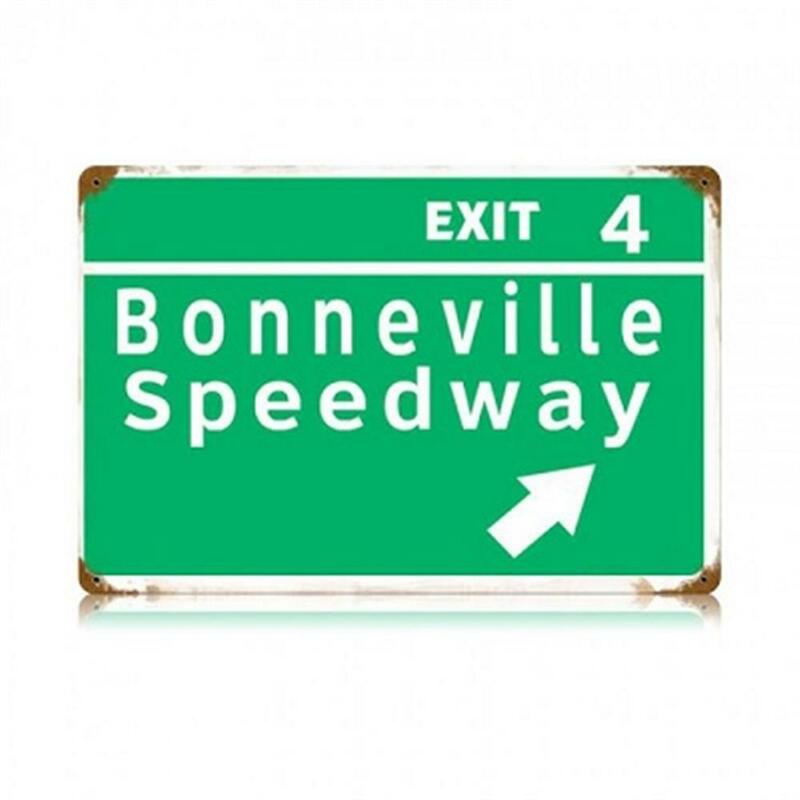 This vintage style Bonneville Speedway Exit 4 Metal Sign is made from 24-gauge steel with powder coated graphics and pre drilled mounting holes for easy hanging. Measures 18" x 12". Made in the USA.